India is a difficult place to put into words. It’s a place you simply have to visit in order to understand its complexities. That’s when my love affair officially commenced with the people, the food, the animals, the landscapes and the beautiful mess as a whole. Finding the best places to visit in a complex country like India can be a daunting task, so allow me to assist – no travel agent fees required 🙂 I was so excited to partner with Chase Sapphire to share my Sapphire Six travel guide with top highlights from north to south including landmarks, hotels, food and entertainment – all with some major Indian flare. 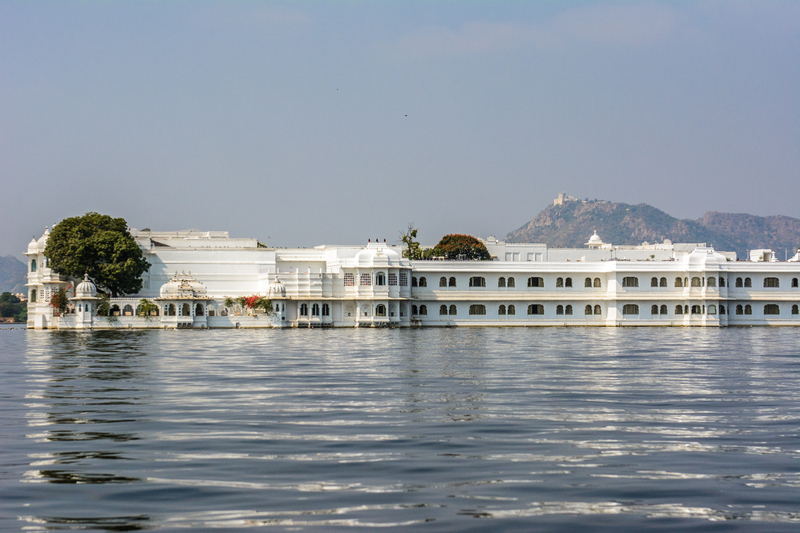 At a glance, this hotel in the middle of Lake Pichola mimics something like a floating White House, intriguing onlookers as to what it could possibly be. As we pulled up to a beautiful reception area, I handed over my passport for check-in as a boat pulled up to the elaborately decorated dock. A hotel that requires an arrival-by-boat is the type of hotel for me! 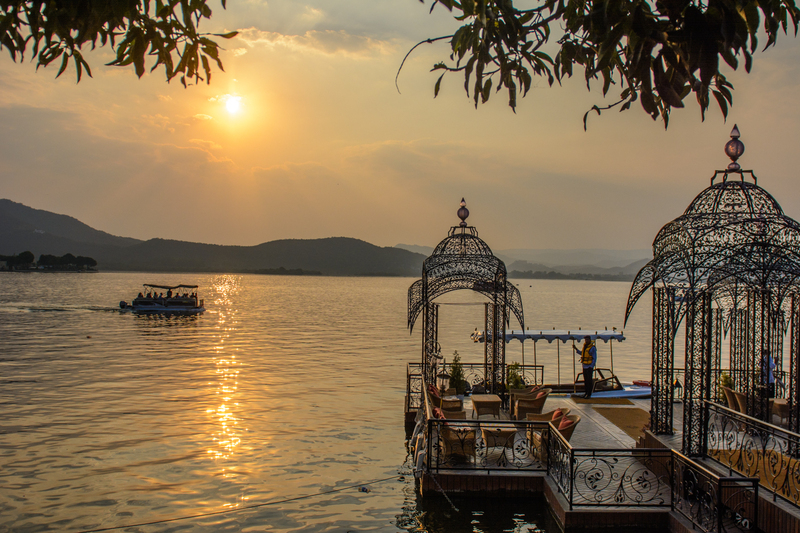 The Lake Palace Hotel is one of the most romantic hotels in the world, built in 1746 out of pure white marble. Swoon. It was, in every way, a fairytale. 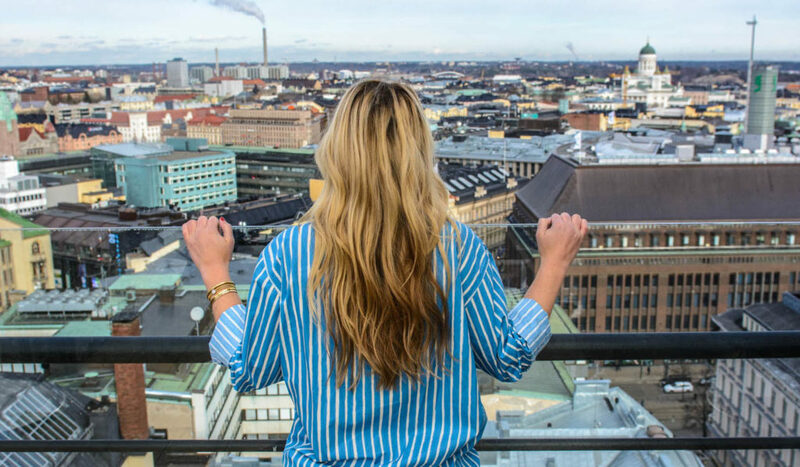 From the lavishly decorated rooms to the dome architecture to the decadent dining experiences, I can only hope to return again…this time with a significant other as a +1. Did someone say honeymoon?? Call me a tourist. Call me crazy. Saree I’m not saree, but I couldn’t help myself. After traveling nonstop for the past 4+ years, my international fashion collection has grown significantly. 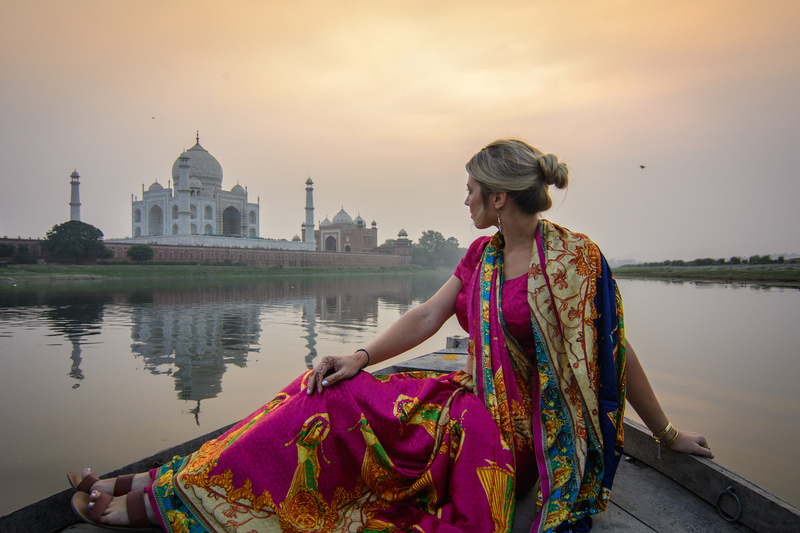 I knew a trip to India meant purchasing a saree, a traditional Indian way of dressing for women where up to 9 meters of beautiful fabric is wrapped and draped over the body. 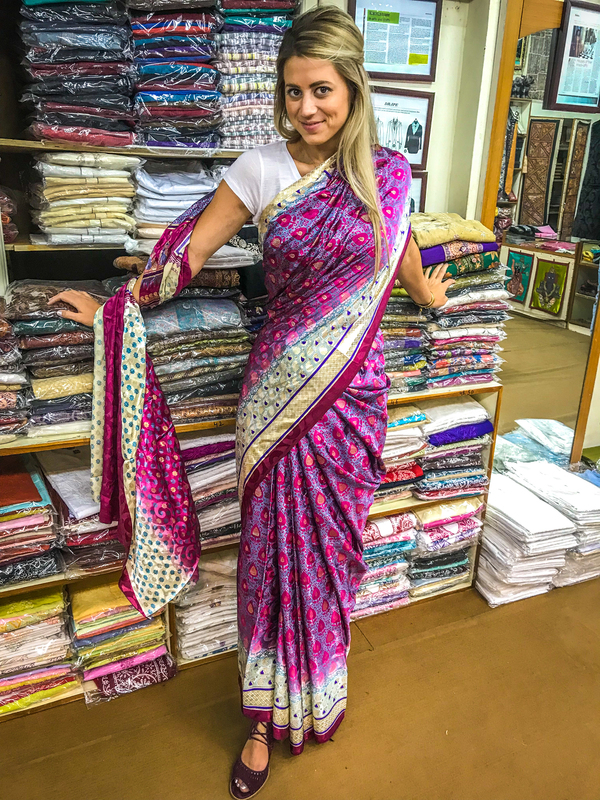 After surveying all the bright colors and designs at Albeli, I chose the brightest cloth in the room – a pink bejeweled saree that would be all mine until the end of time. A half hour drive from the hustle and bustle of Jaipur led me to a remote bush jungle full of adopted and rescued animals. The elephants that reside here were rescued from the city where they had a torturous life taking tourists up and down the popular landmark of Amber Fort multiple times a day. 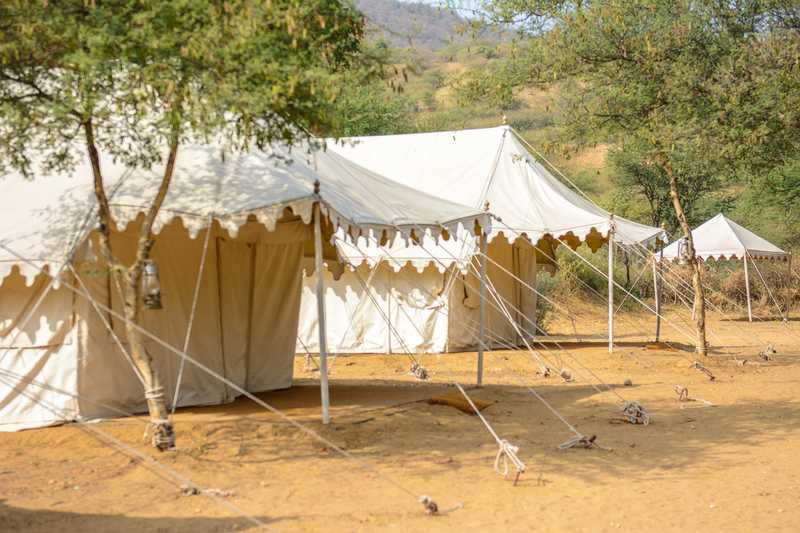 Apart from rescuing animals, the establishment also has high-end tented camps and also employ a majority of the rural village where it resides. I loved learning about all the good this establishment is doing. As you can imagine, it was tough to leave it behind! I’m a firm believer that, at certain occasions, isolation is the best kind of luxury. Often times I find that landmarks are suddenly dwarfed when viewed in person after gazing at them for so long through photos. Walking up to the Taj Mahal on that fateful day we met was different. The architectural wonder stood as stately and bigger than ever before me as my jaw dropped and took my first steps towards it. Its story is an interesting one. Some call it a love story. Some call it a power trip. 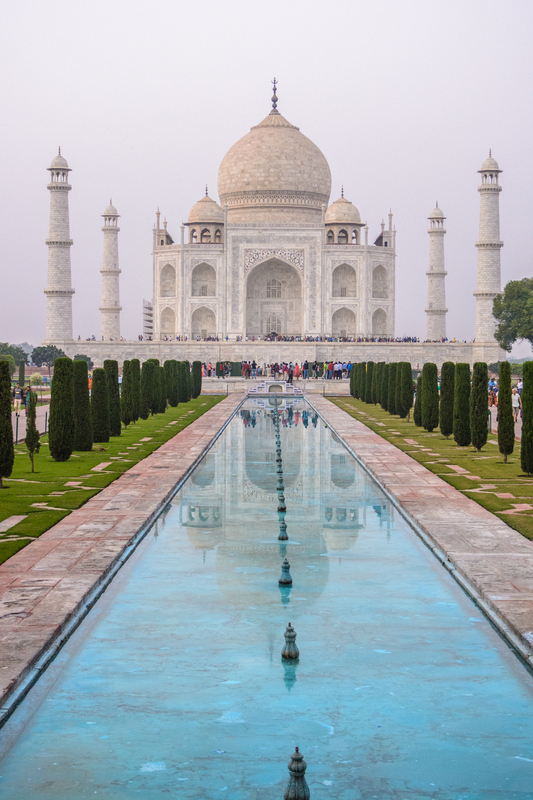 Legend has it that Mughal Emperor Shah Jahan built the Taj as a mausoleum for his favorite wife who died during childbirth, and that he wanted so desperately for it to be a unique masterpiece without an equal. To ensure it would be the one-and-only, the Emperor apparently severed the hands and gouged the eyes of the its craftsmen. It’ll cost visitors 1,000 Indian rupees to gain entry, and I’d suggest going with a guide in order to cut the line. Keep that pro tip in your back pocket! 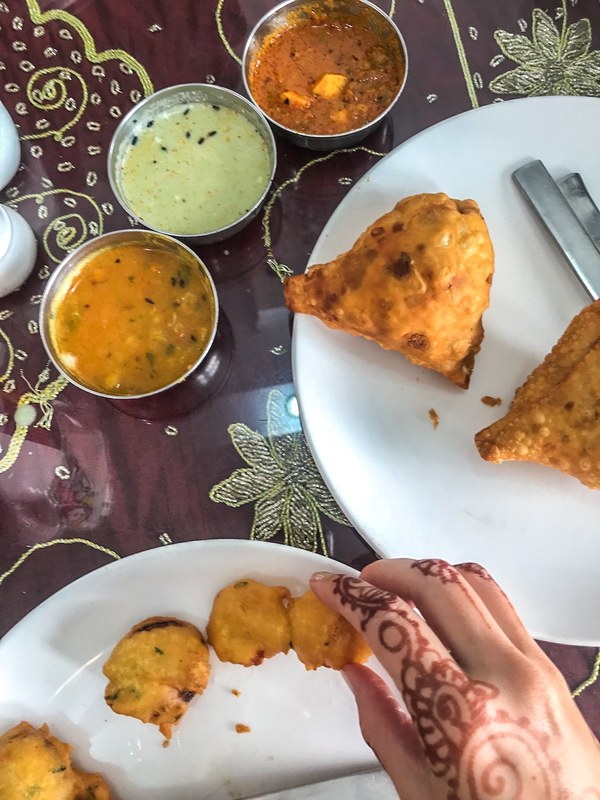 Before stepping foot in India, I knew I really wanted to get a grasp on its cuisine. 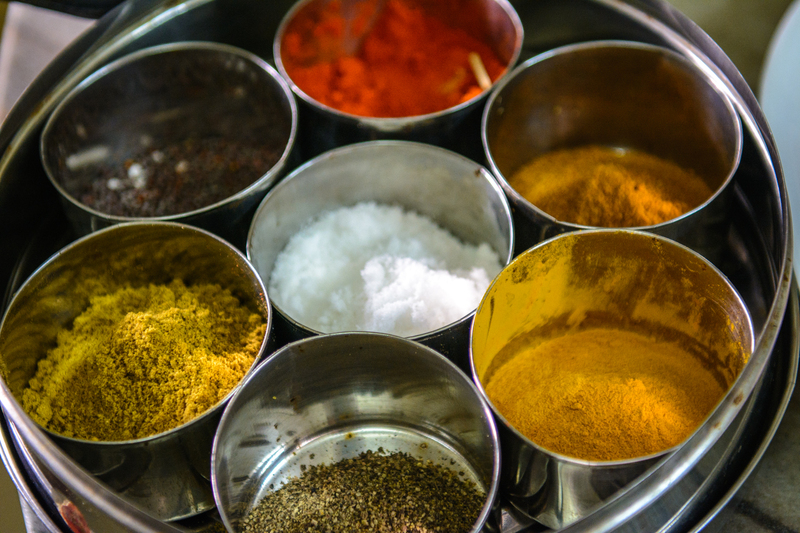 I had so many questions – are all meals made with scorching hot spices (please say no)? So you’re telling me there’s no beef anywhere because cows are sacred? What is curry anyway? AH. After traveling from north to south, I finally set up a cooking demo with a local in order to see a meal created from start to finish! 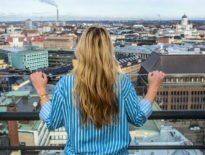 After traveling throughout the country for two weeks, I noticed that many restaurants would ask westerners about their level of spice intake. Mine was always mild (ugh, I know), and the cooking class was no different. I would see Francis, the cook and owner of the home, add spoonfuls of chili power into the various dishes and my eye would widen, but I trusted him. He knew exactly what he was doing because all dishes came out so incredibly tasty. 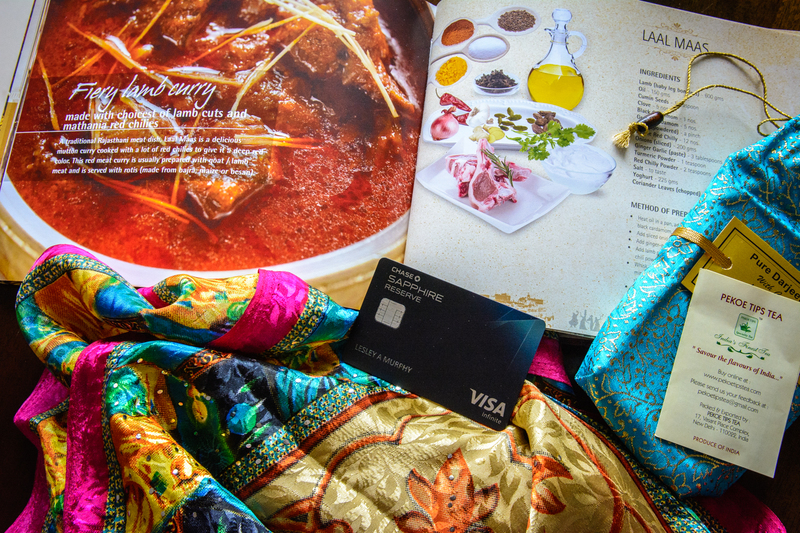 The couple running the show also runs a guesthouse and yoga retreats out of their same home, a real local experience that I’d highly recommend at The Francis Residence, a perk for Chase Sapphire Reserve cardmembers who can score 3x points on food and travel purchases. Life moves at a slower pace in Kerala, a state in south India. They call this dreamy place the Land of Coconuts where palm trees sway, where cocos are in abundance, and where locals are in no hurry. 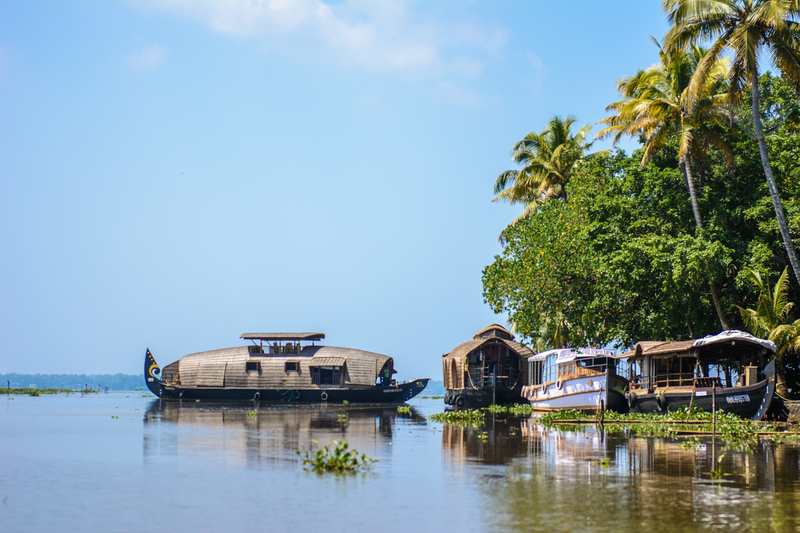 Many visitors to the area opt for renting a luxury houseboat for the day where they can experience life on the backwaters. The boat can be booked through Kumarakom Lake Resort, a retreat on the water that left me in a state of bliss after the crazy rush through northern India. I loved this experience since it took us through the narrow channels of Alleppey, allowing us to see the everyday life of the locals. One man read a newspaper. A woman did laundry by the shore. Kids waved when they saw I had a camera in my hand, ready for their close-up. It was a great day to say the very least! Over to you! 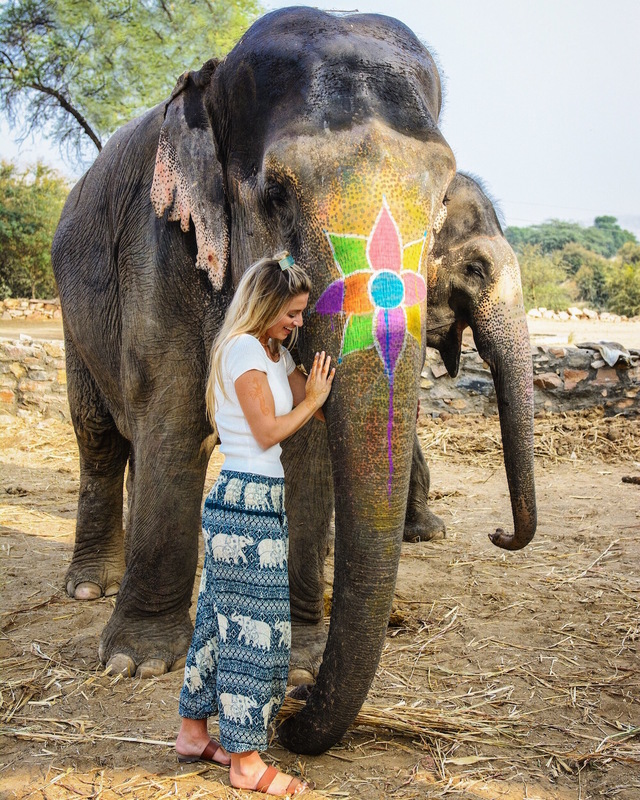 If you’ve visited, what are some of your India highlights? Looks Beautiful ! And your attire looks gorgeous ! Next time you visit India, you should see Harminder Sahib (the Golden Temple), it’s a scared/religious site for Sikhs, originating from Punjab (northern India).